The Green Party has turned up the heat on the TV election debates fiasco by releasing a poster, featuring Caroline Lucas MP and party leader Natalie Bennett directly challenging the decision not to include them. A decision was made by Ofcom not to include “minor parties” such as the Greens in the debates, prompting PM David Cameron to refuse to take part unless the decision was overturned. Sources claim, however, the move from Cameron is part of a series of decisions made by Tory representatives to halt the TV debates altogether, with critics claiming Cameron is strategically dodging the public grilling. On January 14 the leaders of the Labour, the Liberal Democrats and UKIP penned letters to Cameron saying they would push ahead with the debates, with or without his support or attendance. In response to the letters, Bennett told the leaders that rather than malign Cameron, a better alternative would be to include the Greens, forcing the PM to take part. She further confronted the Lib Dem leader on the BBC’s Andrew Marr show, asking him and his “other two amigos” to protest Ofcom’s decision. Clegg said it was not his decision to make, claiming it was the responsibility of the BBC to suggest alternative plans. Barnett said the public were tired of hearing about the TV debates. “I think we've spent most of the last week debating about the debates instead of talking about issues and I don't think the public is enjoying that or wants that to be happening. Clegg avoided backing such a move. 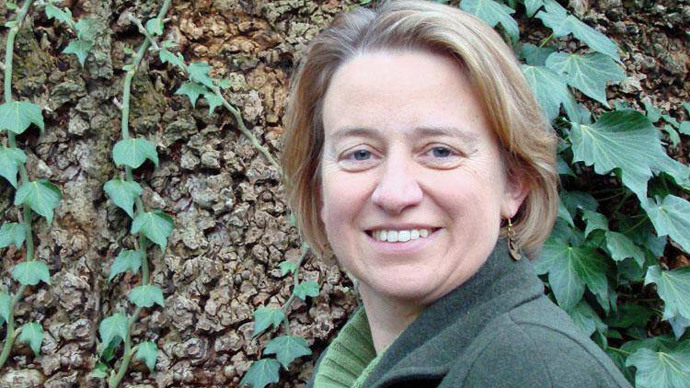 In October, when the BBC first outlined debate plans, a petition calling for the inclusion of the Greens garnered the support of over 200,000 signatories. “By excluding a party with a female leader, we are sending a clear message to the public – politics is still an old boys club,” said Bennett.